Masse launched late last year. Influencer marketing is big business. And while brands and influencers strive to make these partnerships as authentic as possible, there’s a certain genuine quality that any paid promotion just can’t capture. It’s the feeling that comes when you find a brand, product or service that you love so much you can’t help but gush about it—to your family, your friends, the barista at Starbucks and so on. 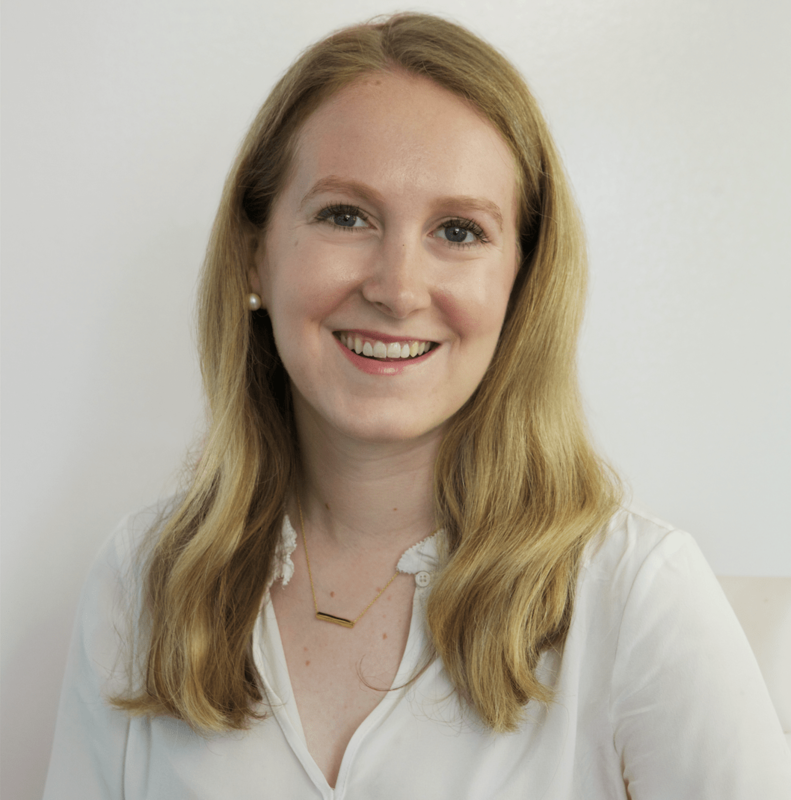 Product managers turned entrepreneurs Elizabeth Shaffer and Lizzy Brockhoff wanted to create a place where you could share that feeling, without the distraction of paid promotion getting in the way. 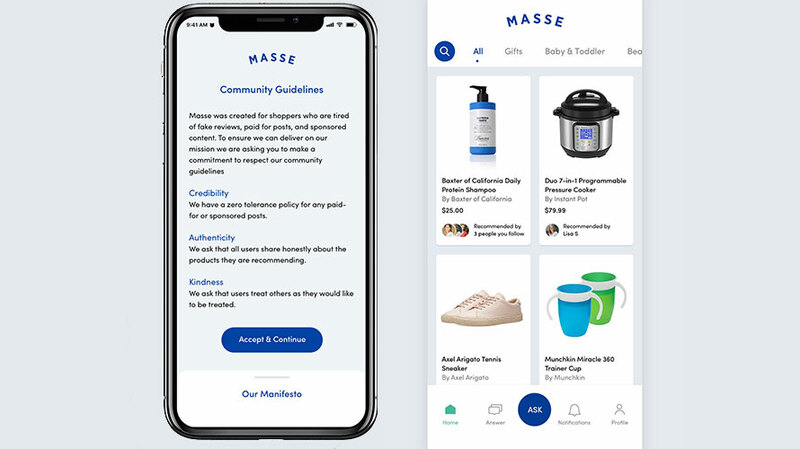 That place is MASSE, an app that launched late last year with the aim of creating a space where people could share product recommendations free of a brand’s monetary influence. No paid posts or sponsored content is allowed on the app. 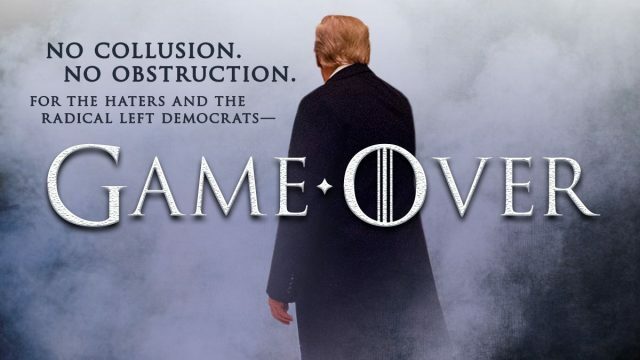 Think of it as a crowdsourced Consumer Reports, or Amazon reviews solely from the people you trust. After downloading the app, users register with a profile and are prompted to follow their friends. Once you’re in the app, you’ll see a feed of questions and answers, all about products. What’s your favorite white button-down shirt? What works as the best fade formula for stretch marks? Users chime in with answers, recommending their go-tos for each conundrum. 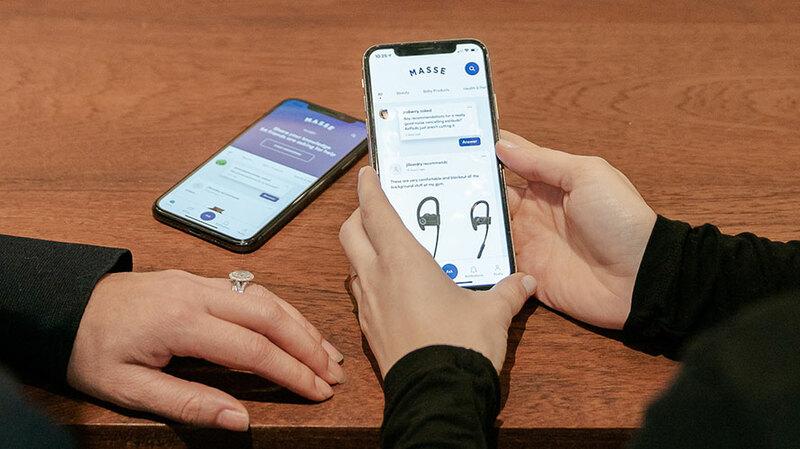 Shaffer and Brockhoff came up with the concept for MASSE after six years of working together as product managers at retailers including Moda Operandi and Jet.com. As they watched bloggers and Instagrammers grow into influencers with major business deals, they felt something was left behind: the authenticity that made these people so popular in the first place. Right now, MASSE is solely a recommendation service, without negative reviews—though Brockoff and Shaffer said they don’t censor negative comments that may pop up in a discussion post. New features are also coming down the pipeline, including the option to “second” a recommendation. There are plenty of platforms out there to share these endorsements, but they aren’t always the most reliable. Paid-for Amazon and Yelp reviews are not a novel concept, even as the websites themselves try to crack down on them. And when an influencer is getting paid to post something, even if they insist they love what they’re advertising and use it in their own life, it’s hard for it to feel 100 percent real to a user. That’s the sentiment Brockoff and Shaffer are trying to avoid.